Angular version 2.4.0 - stability-interjection - is now available. 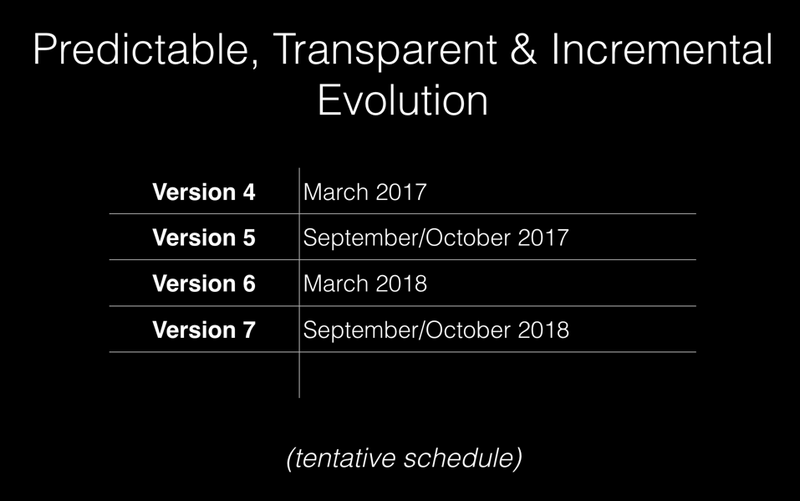 This is a minor release following our announced adoption of Semantic Versioning, meaning that it contains no breaking changes and that it is a drop-in replacement for 2.x.x. Continuing our development and support of Angular 1, we are announcing the next significant release, 1.6.0, which has been in development since May this year. In this release we have added a number of useful features that should improve the developer experience and we have tightened up the security of Angular 1 even further. We have also removed a handful of deprecated features that makes the codebase easier to maintain and in many cases improves performance. Here are the most significant new features available in 1.6.0. Check out the changelog for more detail. When defining model options using the ngModelOptions directive, you can now choose to inherit options from ancestor ngModelOptions directives. This means that developers can centralise common model options rather than repeating themselves across all their HTML. You can see examples of what you can do with this new feature in Todd Motto's recent blog post. 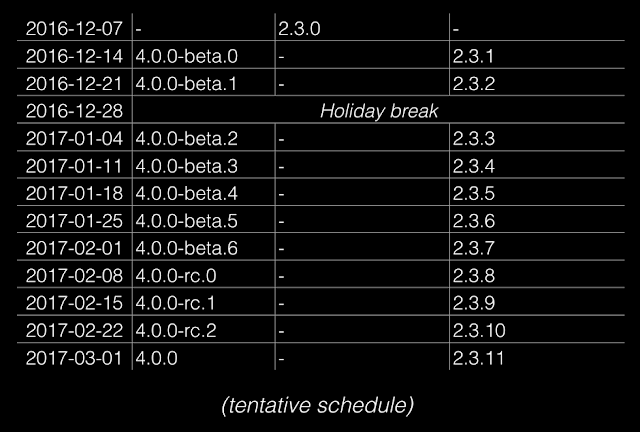 jQuery 3 was released in June this year and contains some changes that left our own jqLite implementation out of sync. In this release we have changed jqLite so that it matches the behaviour of jQuery 3. Now all directive controllers should use $onInit to initialize their state, where the bindings are guaranteed to be ready. This is also closer to the semantic of Angular 2 components. Todd Motto has written about how to handle this change in a recent blog post. With improved support for non-string values in option elements, you can now render most select option use cases using ngRepeat and ngValue, rather than having to resort to ngOptions. This results in clearer Angular 1 templates and is more in keeping with how it is done in Angular 2. Angular 1.6 now fully supports <input type=range ng-model="..."> by default without having to opt-in. It requires the model to be a number, and will set the model to a number. It only supports setting minimum and maximum values via the min/max attributes. It follows the browser behavior of never allowing an invalid value: when the browser converts an invalid value to a valid value, the the model is set to this new valid value. There have been a number of commits that have improved or clarified the security of Angular 1 applications. Here are some of the highlights. Due to some strengthening work we have done to make it more difficult to autobootstrap Angular in browser extensions, all versions of Angular from 1.5.9/1.6.0 onwards are now whitelisted as safe to use in Mozilla Addons. In this version of Angular we have removed the Angular expression sandbox feature. Some developers were incorrectly using this in an attempt to prevent XSS attacks to their templates. To make it clear that this should not be relied upon in this way we have made the decision to remove it completely. A more detailed write up of the background, the decision and whether you need to do anything can be found in our previous blog post. JSONP is now secured by the $sce service, in the same way that other significant resources are in Angular 1. JSONP URLs must now be whitelisted or explicitly trusted before Angular will allow a request to the end point. Further the syntax for JSONP URLs is now more secure, by disallowing the JSON_CALLBACK from the URL template and requiring that the callback is provided via the jsonpCallbackParam config param for requests. There are over 70 significant commits between 1.5 and 1.6. You can find a detailed list of all the changes, including bug fixes and performance improvements in our changelog. While there are a number of breaking changes between 1.5 and 1.6, many only affect very rare corner cases. There are a few significant changes that you should be aware of and we have a comprehensive migration guide to ensure that your migration goes smoothly. 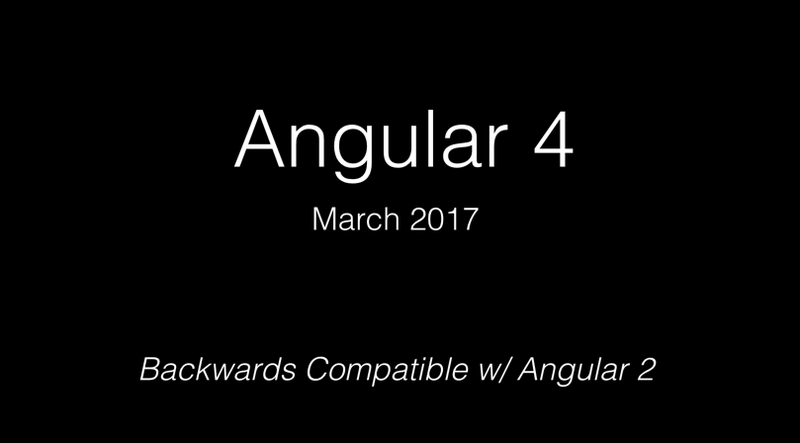 We believe that Angular 1.6 is now the best Angular 1 version out there and that you should update your applications to use it. We continue to support Angular 1.2 with security patches as it is the last version of Angular to support Internet Explorer 8 and from now on Angular 1.5 will receive serious bug fixes and security patches. Angular 1.6 will get regular non-breaking change releases over the next six months, and we will be aiming for the release of Angular 1.7 containing any necessary breaking changes by Summer 2017. As always the work on Angular 1 is a major collaborative effort between people both within and outside the Angular team. We hope that it continues to provide the solid application development platform that you have been relying on for over 7 years! Angular version 2.3.0 - is now available. 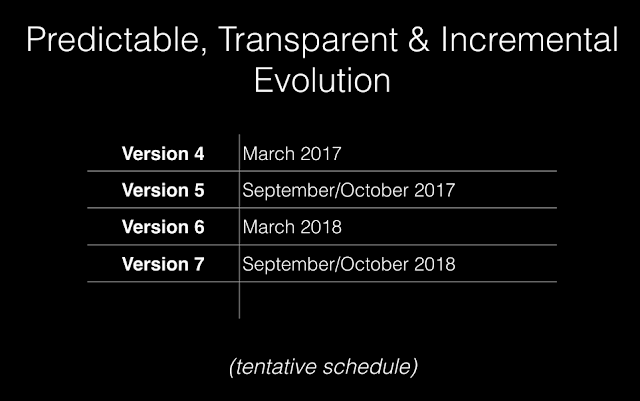 This is a minor release following our announced adoption of Semantic Versioning, meaning that it contains no breaking changes and that it is be a drop-in replacement for 2.x.x. This is the final minor release for 2.x. We're now releasing the first version of the Angular Language Service. This is a service that is designed to integrate with IDEs and provide error checking and type completion within Angular Templates. We've built this service independent of editor, but we will soon be releasing an initial set of bindings for VS Code. Developers can now take advantage of object inheritance for components. Share or simplify component functionality by inheriting from a parent component.